Funny though the name is, this dish is a very famous recipe from Kerala served with lace hoppers also known as appams. Molee or molly apparently means stew and this is a mildly spiced coconut base curry with fried fish cooked in it. Unlike other fish curries cooked in coconut milk or ground coconut paste this curry has fried fish cooked in the spices used for a typical Kerala stew. The peculiar stewy nature of this curry makes it an ideal companion for appams for breakfast or a wedding banquet. Wash and clean the fish. Marinate the fish with chili powder, salt and turmeric powder and leave it for 3 hours. Deep fry the fish and drain it. In another pan heat the remaining oil. Saute the whole spices for a minute or two. Add the curry leaves and onions and fry till they are translucent. Now add the chopped ginger, garlic and green chilies and saute till the garlic softens. Add the chili powder and turmeric powder and once they are sauted till their rawness abates add the think coconut milk and salt. Bring the gravy to a boil and add the fried fish into the gravy. Once the fish is added do not stir this will break the fish. Since the fish is fried we don't need to cook for long but the coconut milk needs to get infused into the fish so let it simmer for 10 minutes. Add the tomatoes cut in rounds and let it cook for a minute or two. Now add the thick coconut milk. Once the thick coconut milk is added bring the curry to a boil and switch of the flame. Serve with rice or appams. 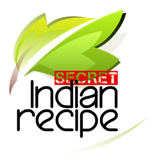 To garnish fry cashewnuts and curry leaves in ghee and add over the curry before serving.